SOLD BY FLYING FISH PROPERTIES A smart front door opens into a spacious hallway of Victorian proportions with room for coats and shoes. To your left is a large and beautiful double reception room with high ceilings and period detail. Light pours into the room from the generous bay window with stylish wooden shutters offering homely privacy as you curl up in front of the handsome fireplace. At the far end of this substantial space which holds an L shaped sofa of epic family proportions and a dining table, a large window brings in views of the garden. Heading through the doorway and into the hall, a cloakroom to your right, you arrive in the wonderful open plan kitchen and dining area. This stylish kitchen has plenty of storage, fitted units, an eye catching Stoves range cooker and access to the separate utility room. A fantastic garden room at the back completes this floor giving you room to sit and relax whilst keeping an eye on the children playing in the garden. Arranged over three floors, this beautiful property is most tastefully and lovingly presented throughout. The first floor offers a bright and spacious landing with two large bedrooms leading off it, the second with fitted wardrobes and a period fireplace. The master bedroom boasts an entire wall of plentiful wardrobe/dressing space and a modernised en-suite shower room. The second floor has two further delightful double bedrooms with excellent storage space. A large recently modernised bathroom fitted with impeccable taste with walk in shower completes the floor. This exceptional family home has the advantage of a lovely low maintenance garden that is accessed directly off the kitchen. It is well stocked with shrubs and a defined alfresco dining area perfect for evening entertainment, but that is not all. Stone slabs entice you over the grass to an absolute gem; a garden room that occupies the whole width of the rear of the garden. With electrics and an abundance of space this room could be whatever sanctuary you choose it to be. 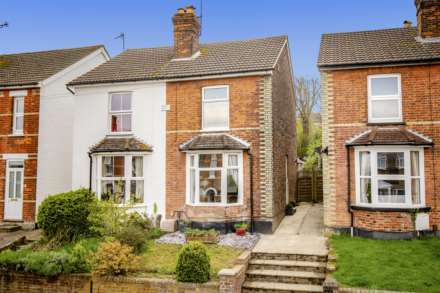 Prospect Road is superbly located for a host of popular nurseries, primary, secondary and grammar schools. 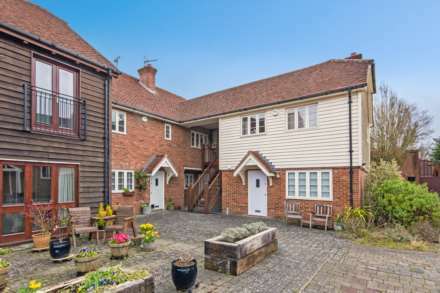 It is also close to all of Southborough`s local amenities and is well served for leisure facilities and transport links. This property couldn`t feel more homely, its thoughtfully designed and stylish interior have sympathetically transformed a Victorian property into a sophisticated family home. A must see! Cloakroom with low level WC and wash basin. Living Room: 16`7` x 11`9` into double glazed bay window with front aspect, feature fireplace, painted solid wood flooring, mid height wooden shutters and classic Victorian style alcove cabinet. Sun Room: the triple aspect glazed sun room offers a light and airy space bringing the outside in even on chilly days with part glazed door leading into the garden. En-suite: fully tiled room with tiled shower cubicle, wall mounted wash basin, low level WC and extractor fan. Bedroom 2: 12" x 9`10" double glazed rear aspect overlooking the garden with feature fireplace, fitted wardrobe and large airing cupboard with shelving. Bedroom 3: 12`3" x 11`3" double glazed rear aspect, built-in double wardrobes and dressing table. Bedroom 4: 11`11" x 10`9" double glazed front aspect and skylight. Family Bathroom: fully tiled room with underfloor heating, large panel enclosed bath with mixer tap and shower attachment, separate tiled shower cubicle, vanity unit with fitted wash basin, low level WC, heated towel rail and extractor fan. Outside: to the front of the property is a graveled driveway with parking for several cars. To the rear is a garden, laid to lawn with a large patio for entertaining. There is access to the front of the property. Garden Studio: 15`9` x 8`2` a large light and spacious building that stretches across the whole back width of the garden adds another dimension to this home, offering a very versatile office/living space. Whether you need a home studio for your creativity, an office to escape the commute, a den for teenage children or a playroom for younger ones this space is ideal.